The design of your card is terrific! You have truly captured the Abbey and that vintage car fits right in! A perfect card for any Man. Thanks, Heather! It was a fun card to design. Marsha what a great mix of stamping and dies. Love that old vintage car and all the texture you've added with EF to the dies and background. A wonderful masculine card. Thanks, Fiona! What fun! I think I'd drive by every day if I had the option. 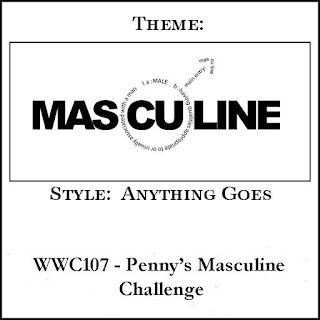 Great masculine card, Marsha! 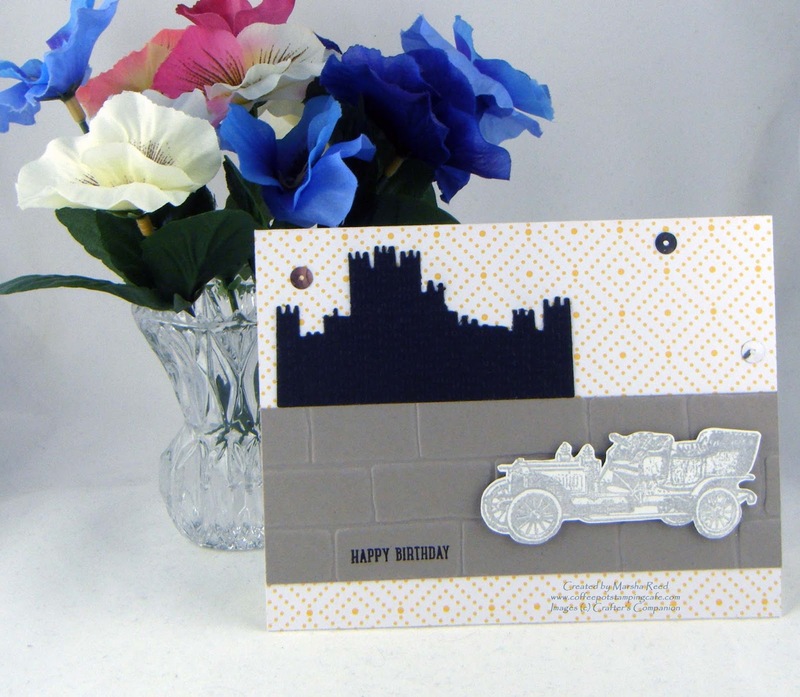 I like how you've placed the castle skyline there and the strip of gray stone patterned paper looks just like a road for your wonderful vintage car to drive on. Thanks, Shani! I'm a big Downton Abbey fan and love this die and the vintage car is from a Downton Abbey collection.